A Shannon Ravenel Book, 9781616203221, 368pp. The structure of this novel is unusual, with its many voices and viewpoints. Why do you think the author chose to narrate the story this way? If you were asked to name the novel’s most central character, which would you choose? Why? The last-moment-of-life monologues are interesting strokes of authorial imagination. How did you respond to them? What does this novel imply about how people face death? What are the societal consequences of remaining far removed from the process of dying? 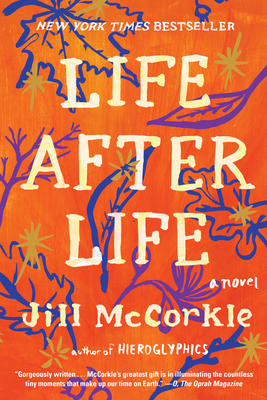 How accurately do you think McCorkle portrays life in a continuing care retirement community? How would you describe Sadie’s influence on her fellow Pine Haven residents? How do you respond to Toby’s reasons for choosing Pine Haven? What about Rachel’s reasons? How did your perception of Stanley change throughout the novel? Did you approve or disapprove of the way he dealt with his son’s involvement in his life? Why? What about Marge? Does her characterization allow any room for the reader’s empathy? What is your perception of Abby’s role in the novel? Did you find any redeeming features in Kendra’s characterization? What about in Ben’s? What do you imagine will become of Abby? What will become of Joanna? What about Sam Lowe? Did the novel’s ending surprise you? What ending might you have preferred?